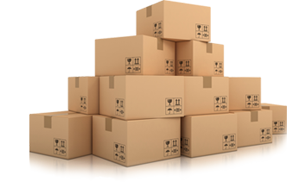 Our experienced staff provide an efficient and careful packaging service to ensure that on the day of your move everything runs smoothly. We carefully wrap your belongings and pack them in boxes to minimise the risk of damage. We clearly mark all the boxes to ensure that the right box with the right contents ends up in the right room of your new house! We understand though that you may want to pack your belongings yourself and so we can provide you with tape, bubble wrap and boxes. Whichever option you choose, whether to pack your belongings yourself or use our cost-effective and efficient packing service, we assure you that we will take good care of your possessions throughout your move. With our extensive knowledge and experience of packing all kinds of products for moves both within the UK and overseas, we are confident that GP Removals' Packing Service will provide the service you need to ensure a smooth move. After everything has been packed away and your house or office is empty, we can provide you with our house cleaning service, or office cleaning service. A team of our cleaners will undertake the task cleaning your house or office from top to toe. GP Removals have the experience to provide you peace of mind when moving your piano to a new house or new location. Our piano removal service is tailored to your requirements and we provide everything that is needed to ensure your piano is not damaged whilst being moved or in transit.